Namaskaar!… and Greetings from the land of Lord Jagannath.Bhubaneswar – the city of temples; the capital of Odisha is my motherland. Odisha, enriched with cultural heritage, architecture legacy and hidden gems happen to be the spirit of India. The magnificent temples, the iconic landmarks, the captivating shorelines, the adventurous wildlife sanctuaries and national parks, the migrating feathered creatures at Chilika lake draws in numerous visitors consistently. I wanted to expose this beauty to the whole world, and we are one of the best Award Winning Tour Operator in Odisha at your service. I was exposed to extensive from my childhood and experienced troubles. This motivated me to develop this industry and investigate full scale achievability that could truly encourage a vacationer or a gathering of visitors. And we can proudly say that, within few years, with a lot of efforts and hardwork we are now the Award Winning Tour Operator in Odisha. That is the means by which my “Dream Child” Sand Pebbles Tour ‘n’ Travels (I) Pvt Ltd came to spotlight.With my experience and involvement in this industry, I have possessed the capacity to assemble a group of very much prepared and experienced staff who will go well beyond their obligation at hand to furnish our visitors with the most ideal travel experience. Today we have spread our wings over to New Delhi and Kolkata and are working in different metros of India with good will with the help of the Department of Tourism, Government of Odisha and Government of India. Being an Award Winning Tour Operator in Odisha, our main motto is to provide travellers a lifetime of experience, a box full of memories and happy faces. With this, I would like to extend out a warm welcome to everyone to visit our wonderful and charming nation and to encounter its bottomless excellence. It is my true expectation that the guests will attempt to consider investigating the sights and flora fauna of India. I would like to assure you that its experience will linger on in their memories for time immemorial. 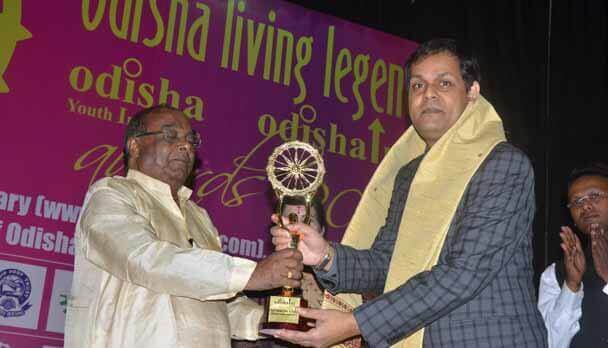 My all the best to all of you and anticipate welcome you in Odisha.